Huggy is the Atholl McBean Professor of Organizational Behavior and Human Resources at the Graduate School of Business at Stanford University. 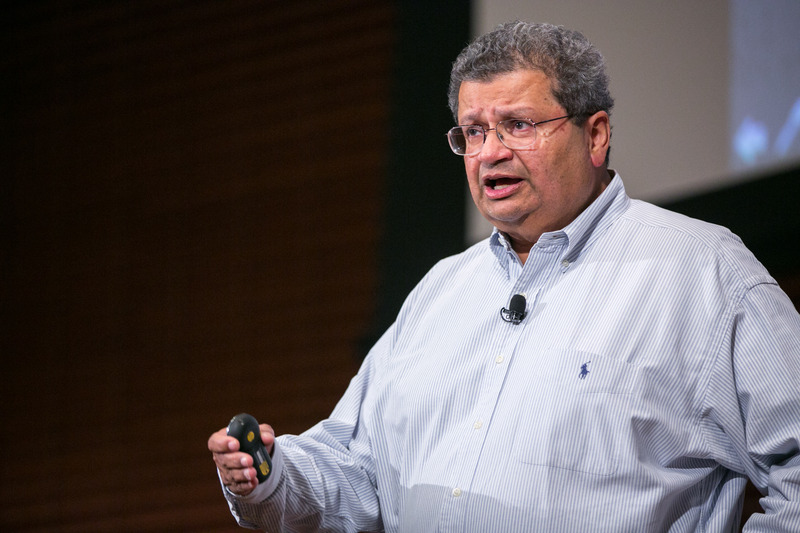 Huggy is also Director of the Managing Talent for Strategic Advantage Executive Program, Co-director of the Customer-Focused Innovation Executive Program, and Academic Director, Stanford Innovation and Entrepreneurship Certificate. His research and by implication, his teaching, devolves around scaling up mobilization, innovation, and talent in organizations. Huggy teaches courses on Scaling up Excellence, HR for Startups, and Launch to Liquidity. His most recent book, co-authored with Bob Sutton of the School of Engineering at Stanford, is Scaling Up Excellence (www.scalingupexcellence.com). The book is a Wall Street Journal Best seller, and was included in the best business books to read in 2014 by Financial Times, Amazon, Forbes, and Washington Post. He has consulted with, and conducted executive workshops for, organizations such as Aon Corporation, British Petroleum, CEMEX, General Electric, Hearst Corporation, IBM and Mass Mutual. Additionally, he also worked with nonprofit organizations such as the American Cancer Society and governmental organizations such as the FBI and CIA, and the intelligence community. Huggy received his Ph.D. from Case Western Reserve University, a Post-Graduate Diploma in Personnel Management and Industrial Relations, XLRI, India, and his BA from Andhra University, India.